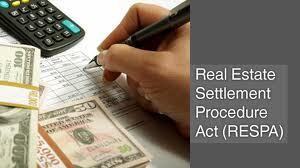 RESPA deals with issues surrounding the costs of closing and the procedures for settlement. It states that disclosures must be given to consumers at different times during the transaction and kickbacks are outlawed that increase the services cost of settlement. RESPA requires disclosure in advance of all amounts being paid to mortgage brokers and other 3rd parties and prohibits hidden increases to the interest rate to cover the mortgage broker’s fees. Additionally, RESPA requires the lender or servicer to acknowledge and respond to written requests by the borrower about the terms of or status of their loan. While such requests are pending, the lender or servicer is prohibited from making any reports to credit bureaus. Other RESPA regulations which may give rise to a valid defense to a foreclosure action pertain to the handling of escrow accounts and the handling of settlement services.